Backpacks are essential when it comes to transporting various items. Children clearly need them to carry their school stuff, but they come in handy for adults, as well. If you have to keep your laptop with you all the time, this is the most convenient way to move it around. When you are browsing for kids’ backpacks, make sure they are comfortable and safe for their delicate backs and shoulders. You can find several products suitable for both children and grownups showcased below. 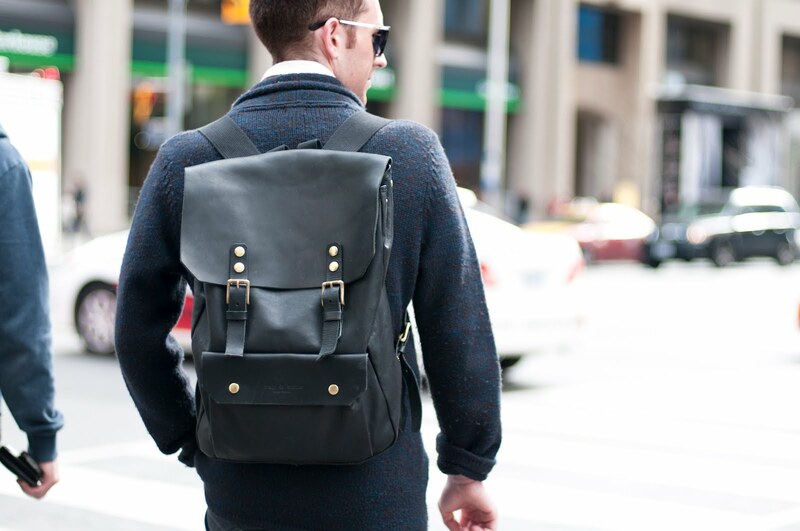 Do you need a backpack to transport your books in, or homework and other daily essentials? The AmazonBasics item is a good option. It is comfortable and lightweight, making it easy to carry the required school supplies from home to class and back. You can use this product as a convenient carry-on piece of luggage when you are traveling or even as a daypack for trips or other journeys. The backpack features adjustable padded shoulder straps and side water bottle pockets. It comes with a locker loop at the top and includes a wide main compartment with a double zipper closure and a smaller front pocket with a single zipper. If you are searching for a suitable product for your son’s school essentials, you can start with the PUMA Boy’s Backpack and Lunch Box. The fabric and the lining are 100% made of polyester. The pack comes with adjustable shoulder straps and includes a large main compartment with a zipper closure, adequate for carrying the necessary school items, and side water bottle pockets. This set contains a lunch box, as well, which can be attached to the front of the backpack. Regarding maintenance, it is advisable to hand wash these items. This backpack is suitable for children from kindergarten to a few grades up. The High Sierra Fat Boy is a backpack that can accommodate all of your stuff. Designed with multiple compartments, the Fat Boy offers nearly 2400 cubic inches of room and better organization. The shoulder straps and the side compression straps are designed to provide comfort when carrying heavier gear. The large main compartments and multiple pockets allow you to store all your gear safely and neatly organized. This bag comes with a dedicated sleeve for your tablet. You have a zipped mesh pocket, pen sacs, a lidded media pocket and a key fob hook, which are excellent for keeping your smaller items in order. No matter if you need a suitable school bag for your kid, or if you are browsing through backpacks for adults, the High Sierra Swerve model is ideal for all of your needs. The ample main compartments and pockets enable you to find room for all the items you need to carry, in a secure and organized fashion. You get a fully padded cushion zone laptop compartment which can accommodate most 17-inch models. Also, a dedicated TechSpot sleeve offers the perfect space for your tablet. The moisture-wicking mesh material and deep air channels generate increased airflow between the pack and your back. As your kids grow, the school load they need increases. Their backs are delicate, and sometimes the best solution is a rolling backpack. J World New York comes with the Girls’ Sunrise Rolling Fashion Backpack, perfect for transporting all school essentials without harming your child’s back. The T-shaped telescoping handle is made of high-density PU coated materials and aluminum pipes. It offers a firm, comfortable grip and the multi-stage locks allow various height adjustments. The product comes with reflective tape for increased night visibility as well, which provides safety while walking to school or back home. With The Children’s Place Girls’ backpack, your daughter will not only have a great bag to carry her kindergarten or school items in, but she will also be very stylish. It is 100% made of cotton and comes with pull-on closure. The bag features a modern design. Its main pocket allows you to store everything you need for school, and the front pocket is suitable for smaller items. The straps are adjustable for comfortable wear. Your kid will surely love this product, or you might keep it in mind as a perfect gift for your friend’s daughter. If you like to keep your stuff organized, the Dakine Campus Lifestyle pack is what you need. This item is presented as the ultimate back-to-school backpack. It is designed with various spacious compartments and pockets. Your laptop will be securely stored in the dedicated padded sleeve from the large top slot, where you can also add books and binders. You also have an insulated cooler pocket for lunch and snacks. This is not all, as the product includes an organizer compartment, a fleece-lined sunglasses pocket, a low profile front zipped section, and two mesh side pockets for water bottles. There’s nothing like trying to chase away your back-to-school blues with a shopping session, and the most sought-for item in the early days of autumn is the classic student backpack. Whether it’s the color that captures the summer vibes or the fun design, the backpack is the best way to make yourself noticed around the campus. How do you make the best choice though? With so many choices available, it’s easy to let yourself fooled by the playful colors and forget all about function. Even the best student backpack reviews can’t seem to get to the bottom of this because there are so many factors to take into consideration. Among the various types of bags available on sale today, the backpack remains the most popular, primarily because of its size, which can allow you to carry around heavy items without having your hands full. You certainly don’t need to still be in school to buy one these, as a backpack can prove itself useful in more than one situation. However, if you don’t have the time to do all the research on how to find the backpack that best fits your needs and your personality, we’re here to help. We browsed the internet for you and we have all the knowledge on how to make an intelligent purchase. The most important thing you have to remember when buying a backpack is that it has to reflect traits of your personality. You’re free to experiment, considering the wide range of materials, colors, and designs you can choose from. Still, you must not overlook other important characteristics. Size and a reasonable compartmentation are essential for a backpack, especially one that you’re going to be using every day for school. In order for you to make an informed choice, all you need to do is go by our advice. When it comes to backpacks, perhaps the most important feature is its size, because its main function is to help you carry the things you need around campus. Before making a decision you should consider your school’s profile, your number of classes and your timetable, and you should pick your bag’s size according to your needs. A smaller but cuter one will only work for a couple of days until you decide it’s not worth the effort. It’s always better to go with the big sizes, just in case. After all, the coolest backpacks for students are the ones that can fit anything inside, from a pencil case to a foot ball. Even if the style of a bag is your top priority, never underestimate the importance of comfort, because a backpack that’s difficult to carry surely won’t stay with you for too long. Perhaps the most comfortable option is a backpack with wheels and a long handle. Designed to protect your back from the pain of carrying heavy items, roller backpacks only reach their purpose if the handle is long enough so you don’t have to bend down and reach for it. However, their size might become slightly uncomfortable so you may want to opt for a smaller one instead. The ones with padded straps are certainly a cause of back ache, but they are the most common and their size fits the usual requirements. Additional straps and belts can be added for increased comfort. Last but not least, there’s bag backpacks, the smallest alternative available for sale, but they are not really fit for carrying books or notebooks, and they should be used for transporting sportswear whenever you go to the gym or have to take sports class in school. Different shapes and sizes of teenage backpacks come with a different number of compartments, and a school bag should have a lot of compartments for you to spread the weight around and better organize items inside it. Everyone knows how hard it is to find what you’re looking for in a big backpack where everything is just thrown together. Separate compartments help you keep your things in order. Also, additional exterior compartments might be helpful for foods and drinks, so they don’t spill and affect the books you are carrying. Keep an eye out for backpacks with a waterproof compartment, where you can keep your gadgets without having to worry about them. While in school, and especially on your way to school, it’s important to keep the inside of your backpack safe from wandering hands. There are a few lock systems available on sale, but usually, a zipper or a magnetic flap will do the job, as it’s unlikely for your school books to become an attraction for unwelcomed visitors. A zipper is safer, but a magnetic closing system is always quicker, so, when choosing, it all comes down to your lifestyle and your needs. Last but not least, the style of your backpack should reflect your personality. There are a lot of cool student backpacks out there, some of them even signed by famous designers. Keep in mind that your backpack is the item that will get you noticed around campus, and it is your choice whether you want to blend in with the other students or stand out and express yourself in a creative way. Style can mean either shape or color, pattern or material, or can come in the form of extras like small pouches or toys and figures that you happen to collect, which you can add according to your will and inspiration. Feel free to experiment! You have a lot of possibilities to choose from, and surely there is a backpack out there to fit your taste and needs. All you have to do is take your time and go find it. Keep in mind that you should prioritize comfort over other characteristics, but also never disregard looks. If you follow our advice and avoid rushing, there’s no way you can make a wrong choice.